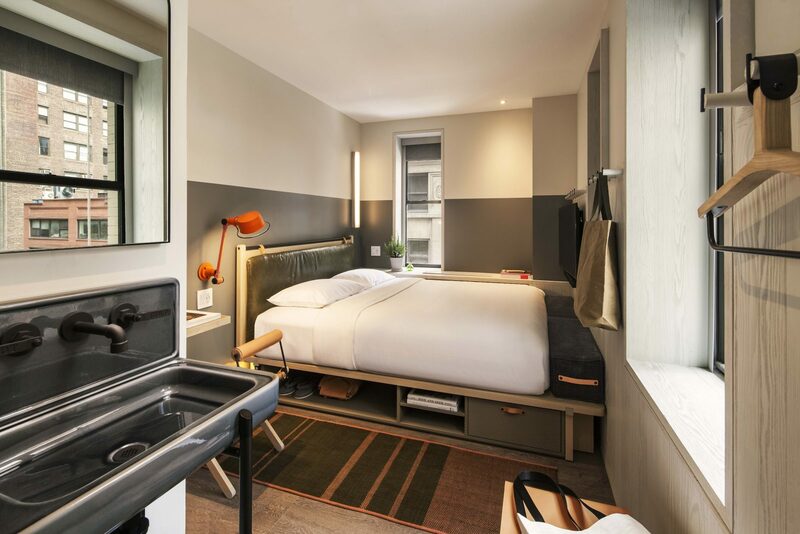 Jack Southan reviews the Moxy NYC Times Square hotel in New York, which opened in September 2017 and was designed by Yabu Pushelberg. 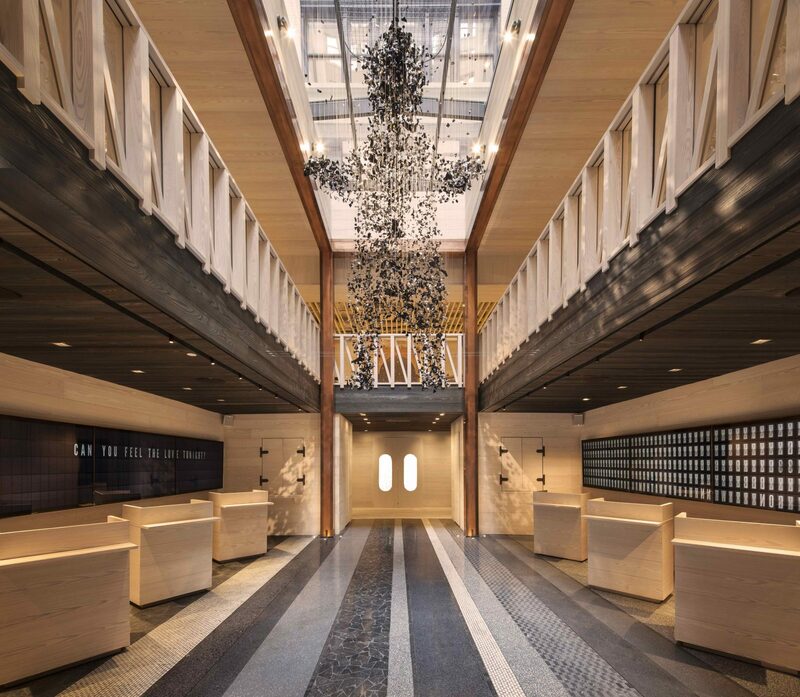 Although part of Marriott International, it is a great example of a new breed of youth-orientated, low-cost luxury, lifestyle hotels that goes out of its way to break conventional rules of hospitality, and puts fun at its heart. My taxi crawls its way through the throng of traffic which has backed up in the neon lit pantheon of Times Square. Snow swirls in the freezing New York air and the mass of yellow taxis glow luminous in the unnatural light. It’s an overload of colour and chaos, but it lives up to every expectation I had for my first visit to the king of cities. Finally, we move on down Seventh Avenue and, expecting to be driving for some time yet, I am surprised when my driver leans over his shoulder and says in a typical New York drawl: “This is it, pal. Moxy Times Square”. I look out of the window and, sure enough, a neon pink sign glows above a rotating doorway, spelling out the name of my hotel. I recover my bags, pay the fare (with customary 20 per cent tip, of course) and head into the lobby. I’ve stayed at more than a few hotels over the years, some great, some awful, but I have never come across anything like the this. There’s a candy cart to my right offering free sweets and popcorn. A member of staff is juggling and chatting to the people coming and going from the lifts. 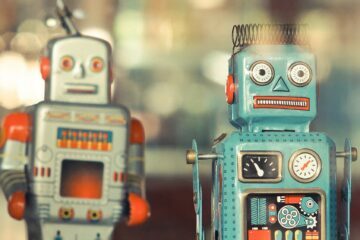 Music plays and, on the walls, are giant screens with what I am told are AI-generated quotes, ever changing, stating bizarre concepts and not quite human thoughts. A huge, free-hanging sculpture of a bear hangs above my head, flickering gold in the spotlights which dapple the ceiling. I am greeted by a member of staff quite casually and am asked my name for check in, as if nothing is unusual about this whole thing. There is no reception desk in sight. There’s a wait for my room to be ready so my girlfriend and I are guided to the first floor where we are told we have a welcome drink waiting for us. This is actually standard for all guests I am told – it’s a nice touch. I hand over my “welcome token” to the bartender and he makes me a peach Bellini in no time at all, giving me a chance to look through the details of the hotel before we are taken to our room. 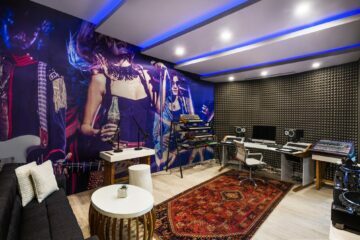 The Moxy NYC Times Square opened in September 2017 as the brand flagship in America. It consists of 612 cleverly designed bedrooms and social spaces (open to both residents and the public) for co-working and mingling, spread over the hotels 18 floors. Rooms consist of nine different types: ranging from the classic Queen double to the unique communal business rooms that house four adult bunk beds designed for cheap stays in the centre of town (roughly US$250 a night). There are also family rooms, twin rooms, triples, “double doubles” and studio suites, plus 19 exclusive rooms called Crash Pads, which can only be ordered from the dessert menu of the rooftop bar (make of that what you will). 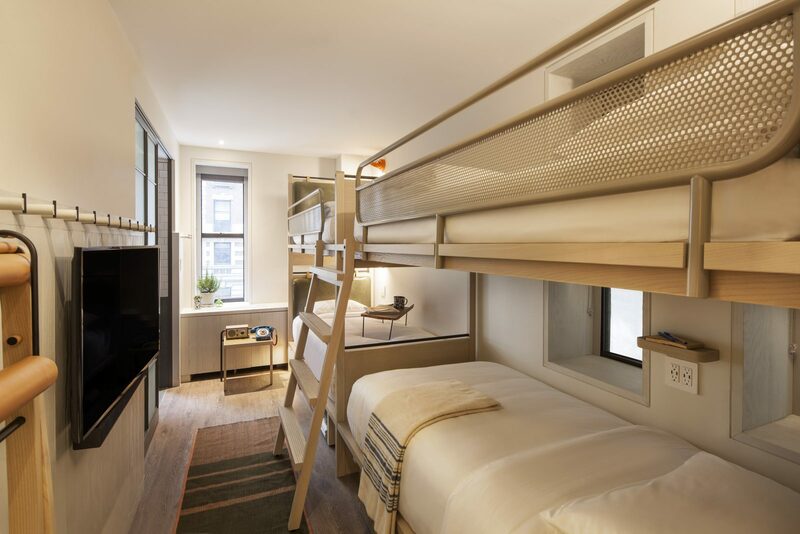 The thinking behind the Moxy NYC Times Square was to provide compact, stylish accommodation in the heart of Manhattan, at a fraction of the cost of other hotels in the area (you can get an entry-level room in July for US$152 including tax), and it succeeds without compromising on looks. 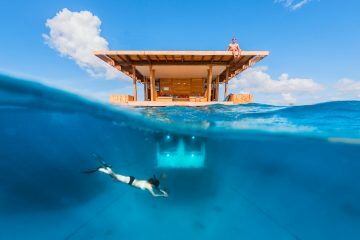 Where it saves money is by not offering the full levels of service that four- and five-star hotels do, or expensive facilities such as swimming pools. (There is a 24/7 gym though.) I look around the bar and soak up the venue. It’s all ultra sleek and modern. The open bar is well stocked and the cocktail selection is excellent. There is no room service at the Moxy, so instead there is a “grab and go” self-service food counter at the back of the room. Serving simple fare, it’s nothing dramatic but in keeping with the ethos, it supplies everything one might need to sustain themselves at an affordable cost. Breakfast is served each morning at the bar, followed by hot bites throughout the day. A large focus on the first floor is the communal work spaces. Sofas, desks, private offices and meeting rooms surround the bar area, and are packed with media types, MacBooks and flat white coffees. The decor is trendy and tasteful; neutral colours matched with moderns art and urban design work. It’s achingly cool and attracts a crowd to suit. After half an hour, and a couple of Brooklyn lagers, the concierge arrives to show us to our room. We head up to the 14th floor and I take the opportunity to poke my head into a few of the rooms on offer. They are all beautifully designed, modern and comfortable. Some are very compact with little space apart from beds (especially the business sharing-style rooms) but they are not unpleasant in the slightest. 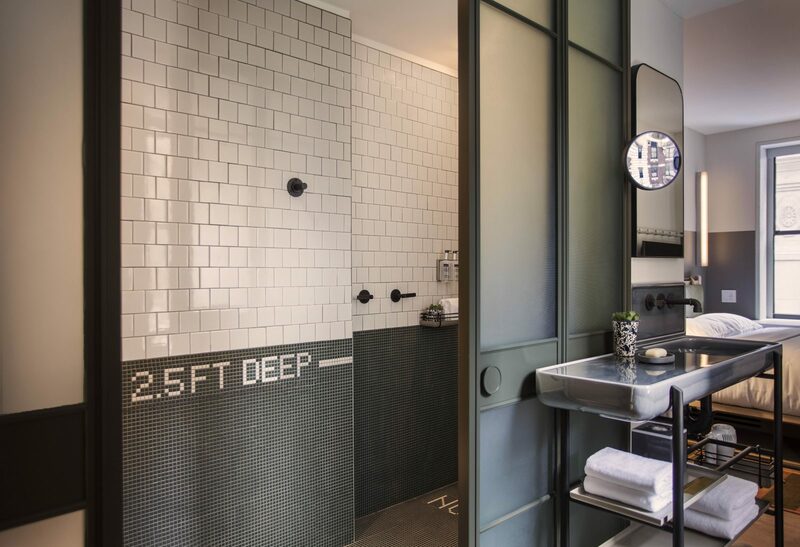 Each room has an en suite bathroom with a shower, and most have an external wash basin that is integrated into the style of the room. 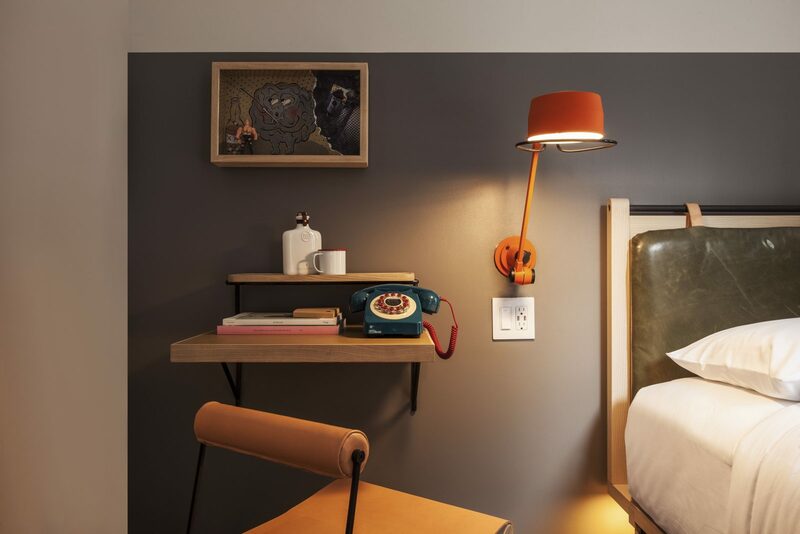 There are many quirky touches woven into the space which add a fun (if sometimes a little odd) feeling to the whole place – a telephone by each bed, for example, either calls reception or reads you a bedtime story, and there are notes from the staff left in lipstick on the mirror. It’s risqué on occasion but that seems to be the order of service at the Moxy – it is certainly aimed at a young, fun-loving demographic. My room is similar in design to many of the others, except for one major bonus – I have an outstanding view of the Empire State Building from my bed. 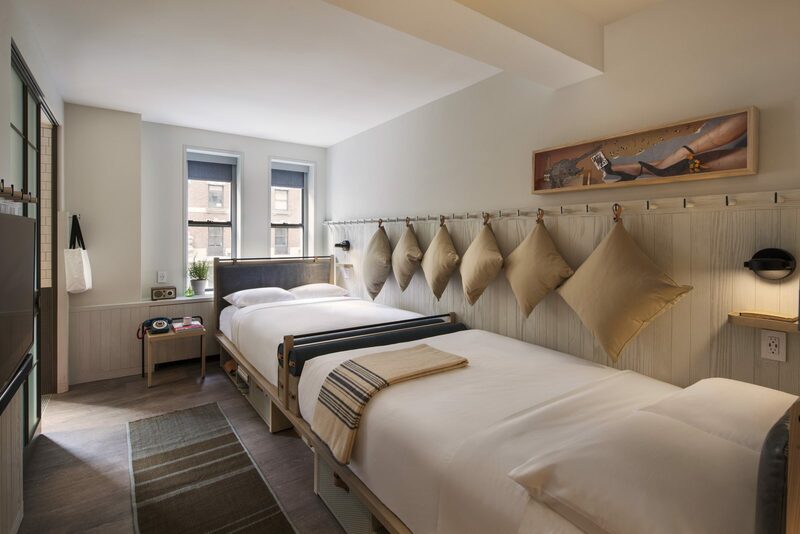 This is testament to just how magnificently this hotel is located, right in the very heart of Manhattan, just a stone’s throw from some of the most iconic locations in the world. 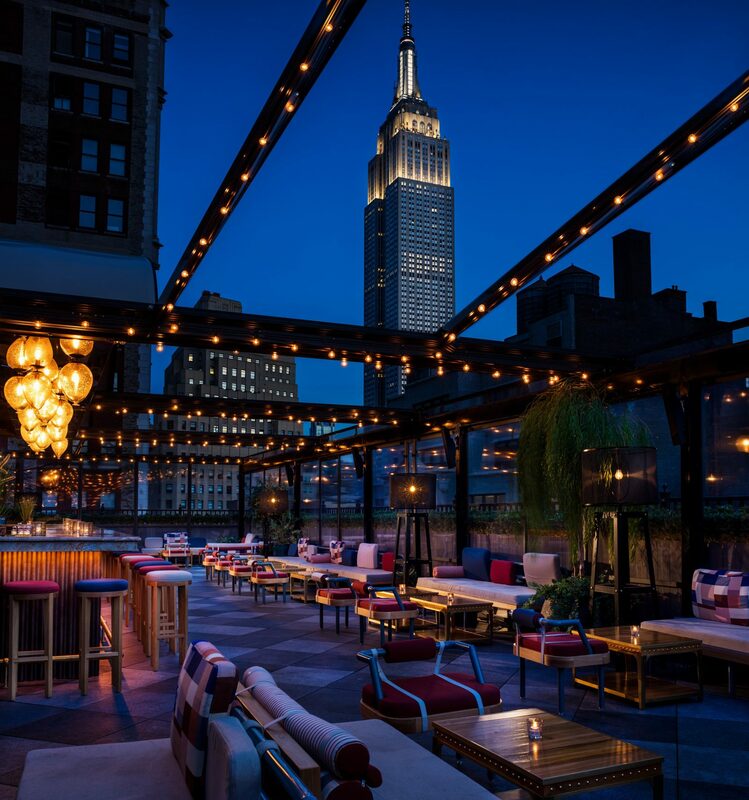 Magic Hour, NYC’s largest all-season indoor/outdoor hotel rooftop lounge, is the jewel in the crown of the Moxy NYC. 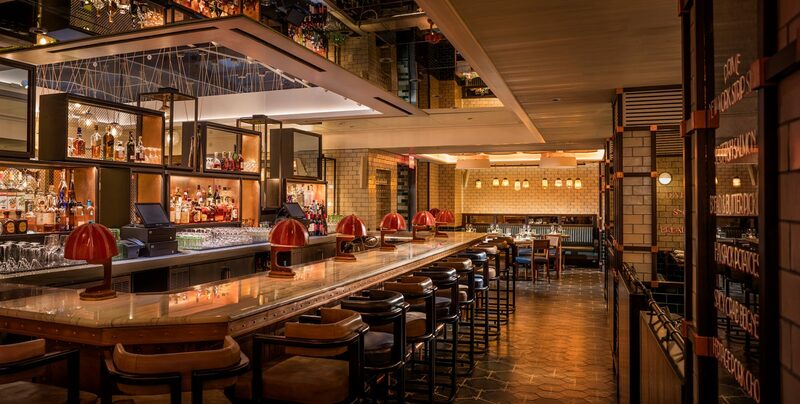 Comprised of multiple bars, an urban amusement park theme, and unmatched skyline views, this exclusive bar has some very special selling points. 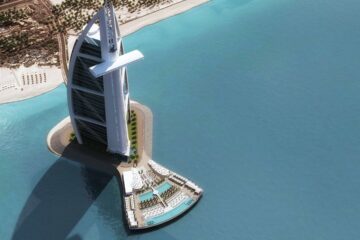 Located on the 18th floor, this is an adult dose of high-life living. It gets incredibly busy most nights and attracts the wealthy and beautiful from around the world – it’s the place to be seen some might say (model Heidi Klum chose to have her birthday party here). It also has some of the best nighttime vistas in the city. 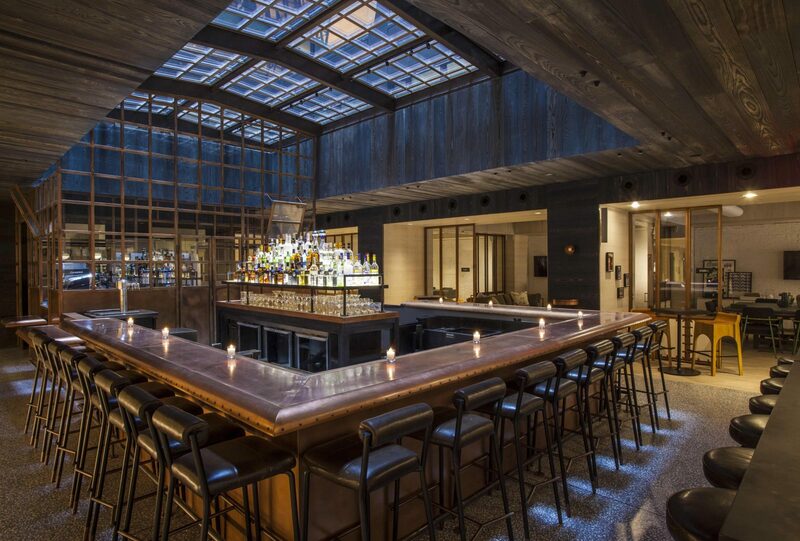 If you’re in need of dinner before the madness of Magic Hour, there is the conveniently located Moxy NYC restaurant, Legasea, on hand for all your culinary needs. 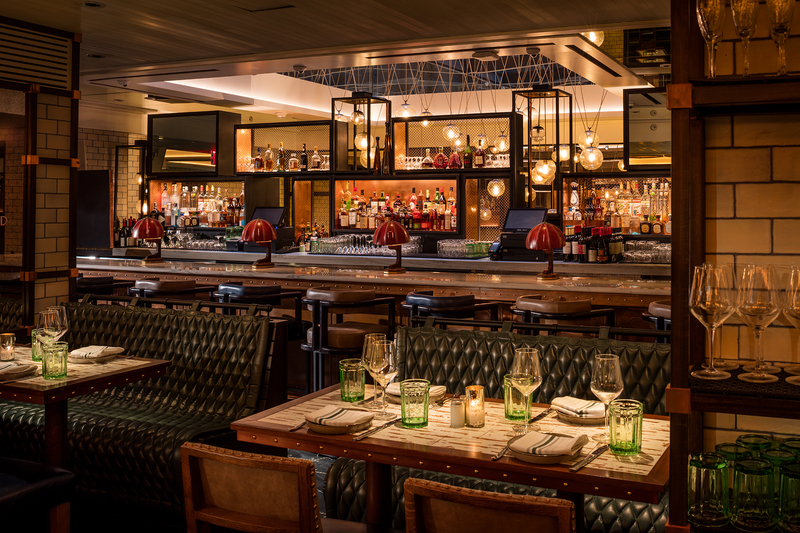 Accessed via the first floor or the front entrance on Seventh Avenue, it serves up some fantastic seafood and bistro-style cuisine. I tried the Hawaiian Parker Rolls, which are inspired little morsels served with slaw, pickles and a parsley butter. They’re baked with a hint of pineapple extract that really makes them something special. To follow, I had an array of excellent dishes, including grilled octopus with potatoes, king crab with avocado salad and spicy tuille, and squid ink conchiglie with seafood and spicy Neapolitana sauce. They were all delicious, perfectly cooked and innovative dishes. Hearty enough to keep you full for the evening but light enough not to put you to bed immediately. That is, except for the house favourite – the fried chicken box. Served in a chicken shop takeaway box, in comes a divine pile of rosemary-crusted fried chicken, slathered in chilli honey, hot sauce and sour cream mayo, mounted atop a fluffy buttermilk biscuit. This is fried chicken taken to the next level and in keeping with the rest of the hotel, a really fun, unpretentious dish that makes no effort to be anything other than enjoyable. 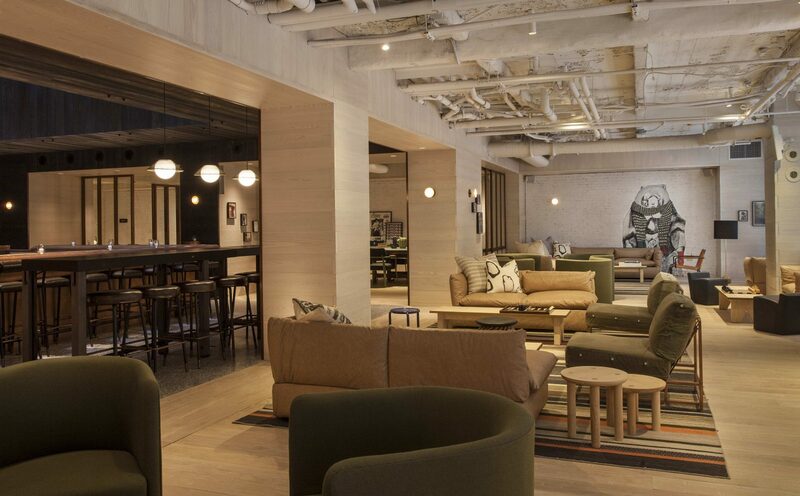 Overall, the Moxy NYC Times Square is a hotel for the young, uninhibited millennial/Gen Z-er who wants to experience the Big Apple in the best way possible, without breaking the bank. 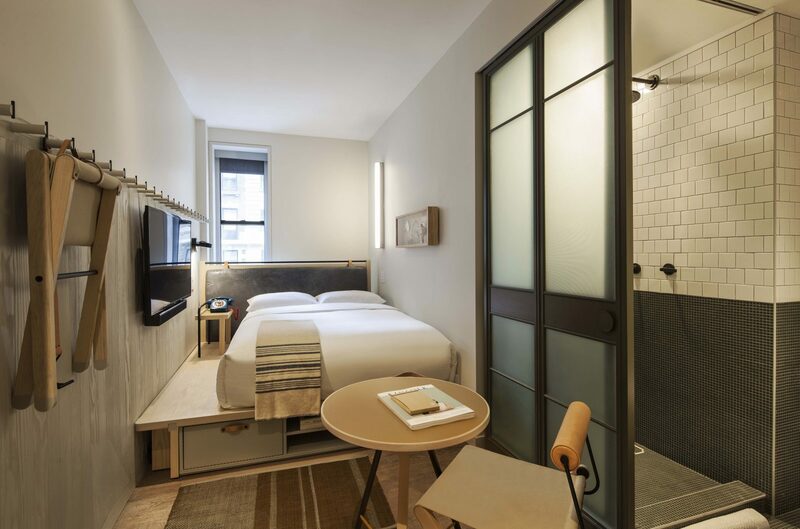 It is vibrant, fun, comfortable and innovative in how it has created a micro hotel concept without compromising quality or the overall hotel experience.